Each autumn, the tradition of Halloween gets all kids (and many adults) in America excited to participate in festivities. Interestingly, Mexico also celebrates a form of Halloween, but one that’s deeply rooted in the culture of its indigenous people and which existed prior to the arrival of the Spanish in the early 16th century. 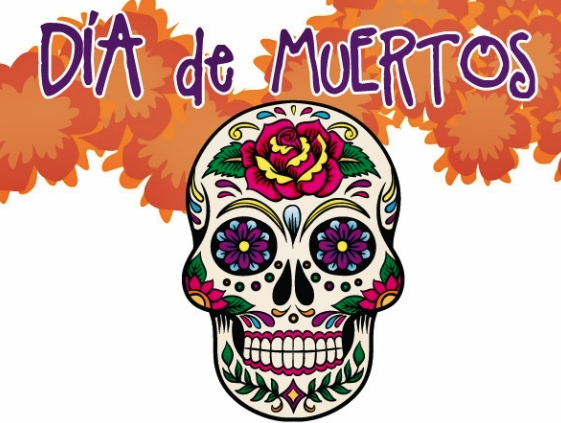 Dia de los Muertos, or Day of the Dead, involves family and friends who aim to remember those who have departed this world. The remembrance is done through prayers, but also through upbeat get-togethers where they partake in the favorite foods and beverages of the departed. In past centuries the festival was celebrated in the beginning of summer, but over time it has shifted to coincide with the similar Christian holidays celebrated by the Spaniards: All Saints Eve (October 31), All Saints Day (November 1) and All Souls Day (November 2). For meeting and incentive groups who come to any of the three Mexican properties in Hard Rock’s All-Inclusive Resort Collection, a Dia de los Muertos-themed reception presents an opportunity for event attendees and their companions to be part of an authentic cultural experience they will remember for a long time. In fact, the time of year of the group’s program doesn’t even matter—any time of year, the convention services teams at our properties in Cancun and in Riviera Maya on the Caribbean coast, and in Puerto Vallarta on the Pacific coast, can partner with local cultural experts and entertainers to create a festive Dia de los Muertos event in a ballroom, on a event lawn, or even around the pool. Another international festivity that groups can connect with is Carnival, a week-long celebration of food, drink, costumes and music that ends on the Christian holiday of Ash Wednesday in late February. And while Carnival is indeed celebrated in Mexico, our other Hard Rock all-inclusive resort in Punta Cana, Dominican Republic would give just about anyplace in the world a run for its money when it comes to throwing the most fabulous Carnival celebration. Again, the time of year is irrelevant; the expertise of Punta Cana’s resort staff and their local partners means that Carnival can be an unforgettable special-event theme for a meeting or incentive in any season. Actually, event planners don’t even need a connection to a local holiday or festival to make a strong cultural impact on attendees during a special event. In all of our destinations, we can have various local artisans set up their crafting stations on the edges of a reception space, so that attendees can watch and learn how those authentic items are made. What’s more, most event planners allow their attendees to pick a few handmade items they prefer as take-home gifts, forever etching the memory of the event in attendees’ minds. Mission accomplished!